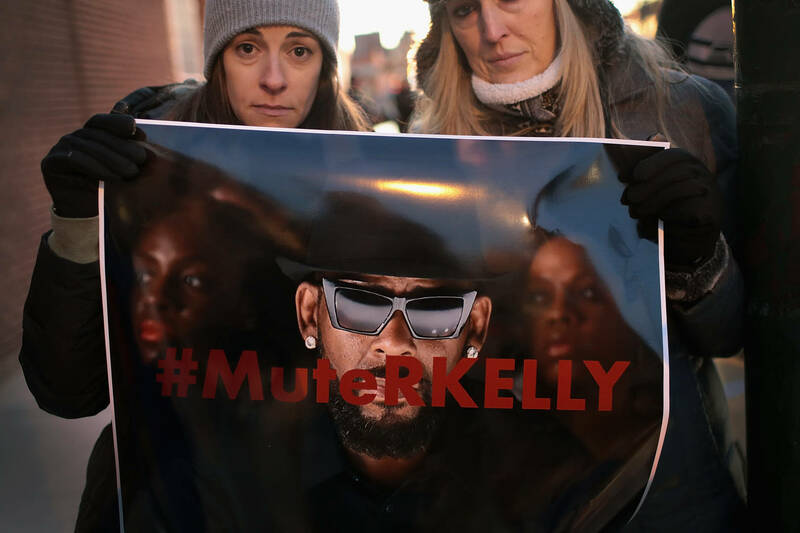 The #MuteRKelly movement hits a Danish radio network. Things aren't looking too great for R. Kelly these days after Lifetime aired the docuseries, Surviving R. Kelly in January. The allegations of sexual assault against the singer resurfaced and sparked an immediate backlash. Radio stations across America began banning his music from their rotation but now, it's made its way overseas. Bauer Media, a radio network with nearly three million weekly listeners in Denmark, has placed a ban against R. Kelly's music due to the "very serious" claims against him. Bauer Media runs several stations in Denmark such as the Voice, NOVA, Radio 100, Pop FM, Radio Soft and MyRock which reaches roughly 2.7M listeners each week. "As a radio, we have a responsibility on who we give the airtime to," Bauer Media official Tobias Nielsen told the DailyMail. "It's very serious and we feel we can't have him on the playlists." Despite the allegations and the growing controversy surrounding his name, the singer is still getting booked for concerts, apparently. Yesterday, he announced an overseas tour that would be hitting Australia, New Zealand, and Sri Lanka. However, he didn't reveal any actual dates or venues or when the tour would launch. Additionally, reports surfaced last week that Kellz is currently planning on releasing a new album amid the sexual assault scandal. Kellz had an album complete before he parted ways with RCA. However, as part of his agreement with the label, he was able to keep unreleased music. At this point, it seems unlikely that anyone is trying to back an R. Kelly album so we'll see how this pans out.